Google Classroom updates - a mobile app, teacher assignments page, archiving classes!! 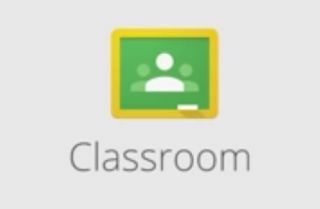 Google has just announced some awesome updates for Google Classroom. The first one is that they have launched a mobile app for both Android and iOS (also available in Google Play for Education). This is one of the biggest features I have heard teachers talking about. The mobile app allows students and teachers to take a photo and attach it to their assignment (really useful), attach images, PDFs and web pages from other apps to their assignments, and offline access to their assignments and streams. Another new feature is the Teacher Assignments Page. This page gives quick access to all assignments and status across all classes. The other new feature is another heavily requested one, Archive Classes. This allows you to move your old classes out of the main page, but still allow you to access information in them. Teachers and members can view archived classes, but cannot make any changes or turn in assignments. These updates and improvements are very welcome features for teachers, and shows that Google listens to it's users. David Andrade is a Educator, Educational Technology Specialist and Education Administrator in CT. Before teaching, David was an Aerospace Engineer for 10 years.He is the author of theEducational Technology Guy blog, where he reviews free educational technology resources for teachers, discusses ways to use technology to improve teaching and learning, and discusses other issues in education. He is also a professional development trainer, educational technology consultant and presenter at conferences. http://educationaltechnologyguy.blogspot.com/ for more resources, tips, links, information and more.